In Christianity, one of the 7 archangels, Uriel plays a role in the rescue of Jesus’ cousin John the Baptist from the massacre of the innocents. He carries John and his mother Saint Elizabeth to join the Holy Family after their Flight into Egypt. Their reunion is depicted in Leonardo da Vinci’s Virgin of the Rocks. 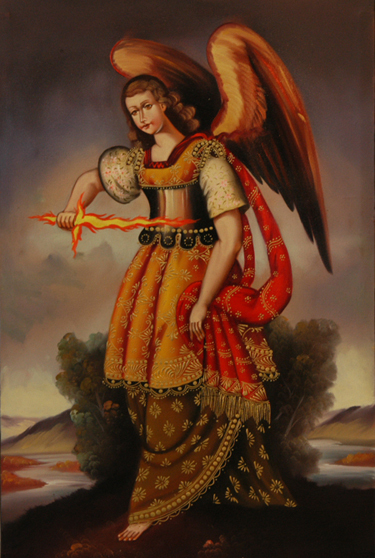 From medieval Jewish mystical traditions, Uriel is also the Angel of Sunday and the Angel of Poetry.